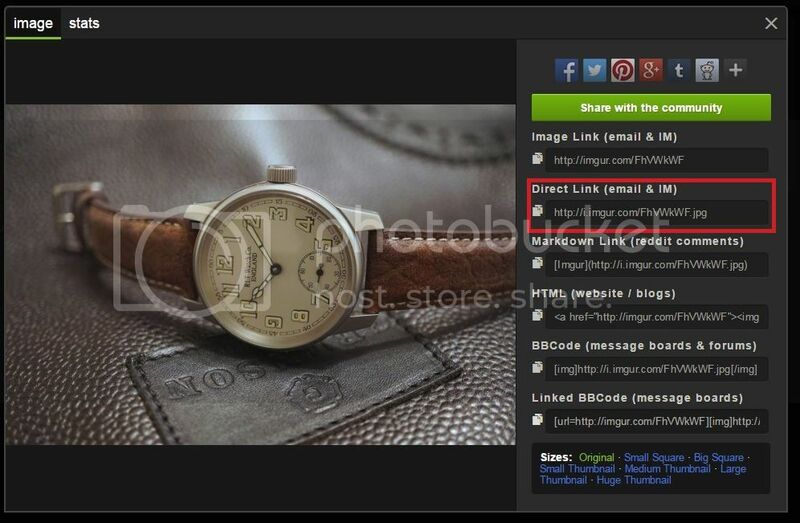 The following guide is aimed to help you post your own pictures on the forum or pictures from other websites. It is written with the Windows / PC user in mind but should give enough pointers to users of other devices. Before you can post one of your own pictures on the forum, your picture(s) must be hosted somewhere on the web. There are many free picture hosting services available, some of the common ones are Photobucket, Flickr, Imgur and Post Image which this guide will cover. Other hosting services are available or you may use your own web hosting environment, if you have one. Basically, anything that can store your picture and generate a URL for it. 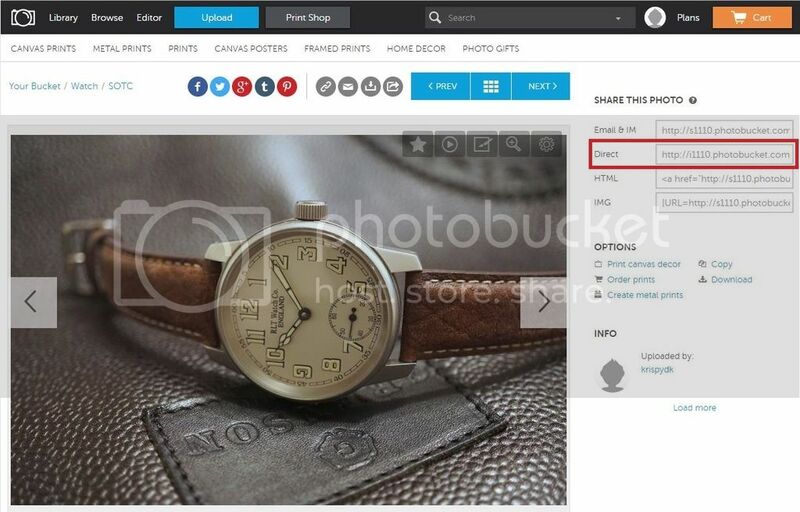 Please note the use of BBcode ([ IMG ], [ URL ], etc) or HTML (<a-ref>) is not needed on this forum, just the URL of your picture. Assuming your picture is already hosted, log in to your Photobucket, Flickr, Imgur or Post Image account in a new browser tab or window. Create a new topic or click in the text box beneath an existing topic to reply and place your cursor where you want your picture to appear. 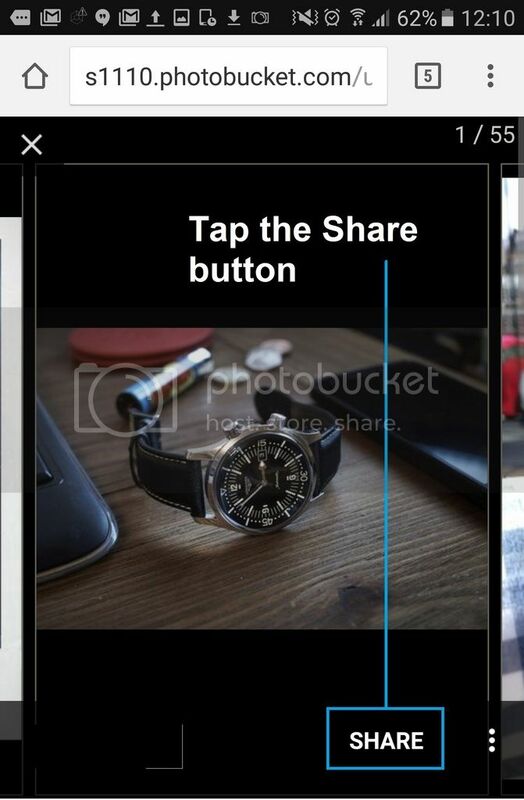 It's best to do this on a new line, without any text to the left or right of where the image will be placed. In your library, open the image you want to post. To the right of your picture, you should see the 'SHARE THIS PHOTO' section. The box should go yellow and display 'copied'. 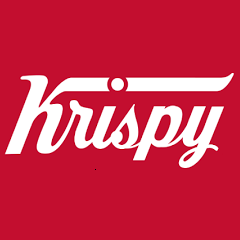 This has now copied your picture's URL to your clipboard. Your picture's privacy settings must be set to 'public' for them to display on the forum. To do this, select 'Public' as the Viewing privacy option in the Addition info section at the bottom of the Flickr page. 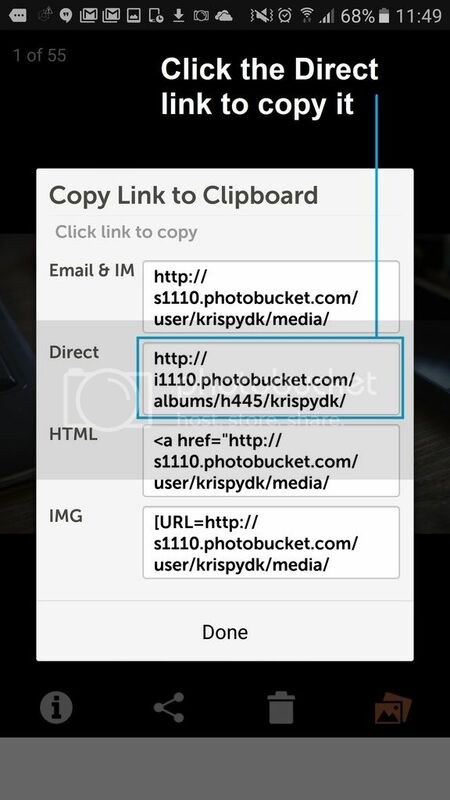 The box should now confirm you have copied your picture's URL to your clipboard. In your library, open the image you want to post. To the right of your picture, you should see the 'Swith the community' section. The box should go green. 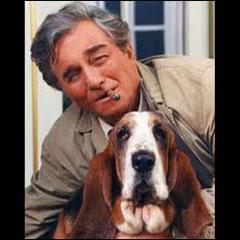 This has now copied your picture's URL to your clipboard. 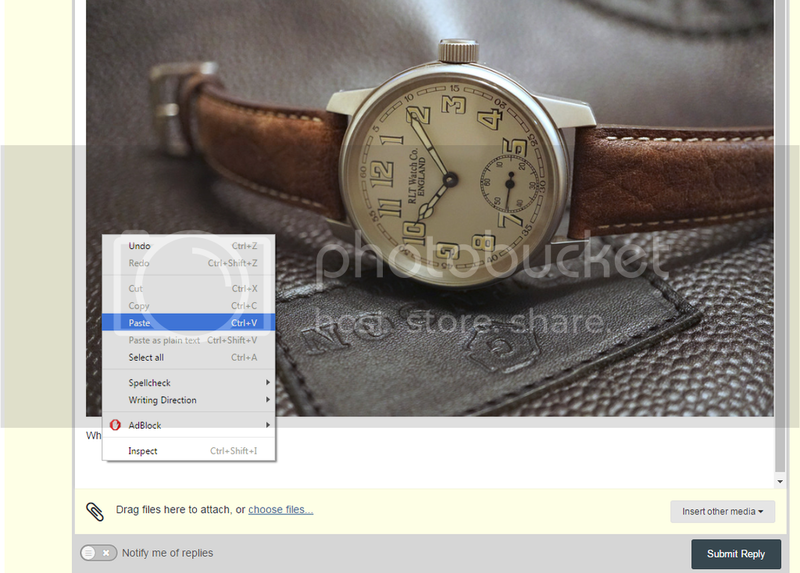 Place the cursor where you want your picture to display in your new topic or reply. 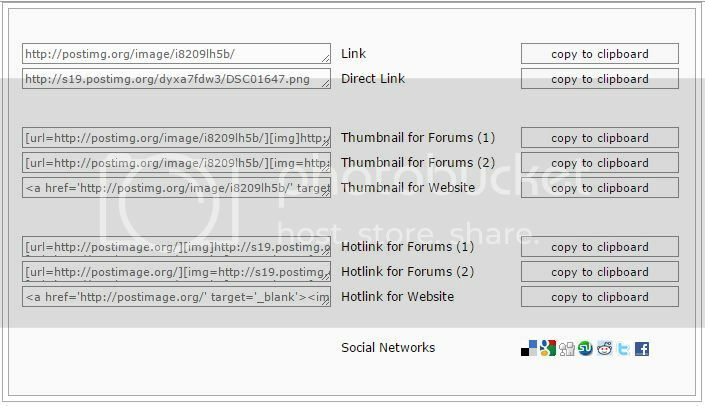 Paste your picture's URL into your new topic or reply by pressing the Ctrl and V buttons together on your keyboard or right clicking with your mouse and selecting paste. 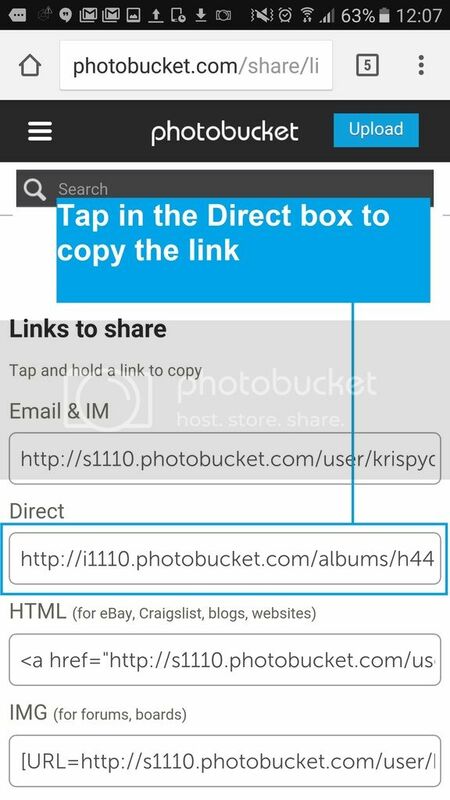 If it remains as a link, press enter to move your cursor away from the link and it should then convert it into a picture. If it doesn't then the link is invalid and one of us went wrong somewhere in the above! 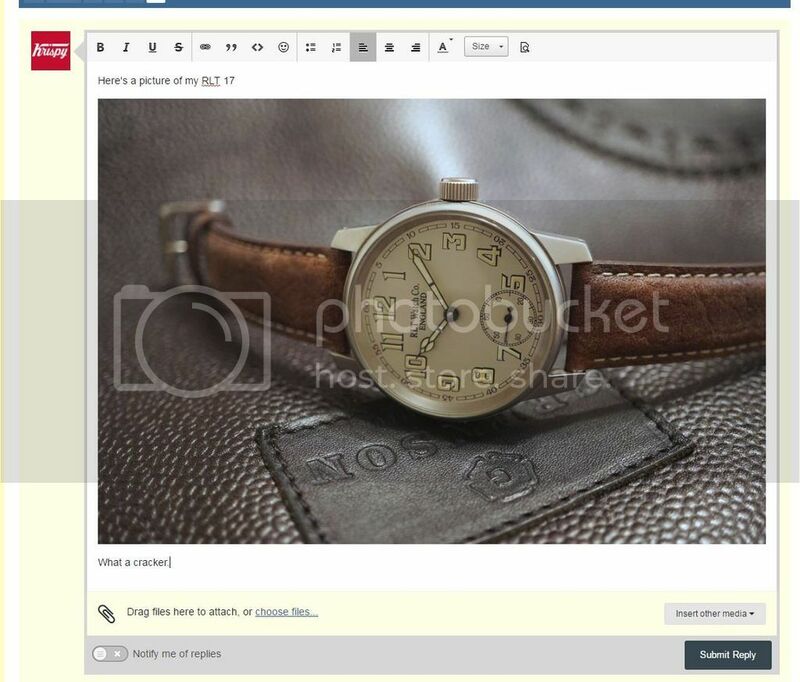 Any image already displayed any where on the web can be inserted into your new topic or reply. 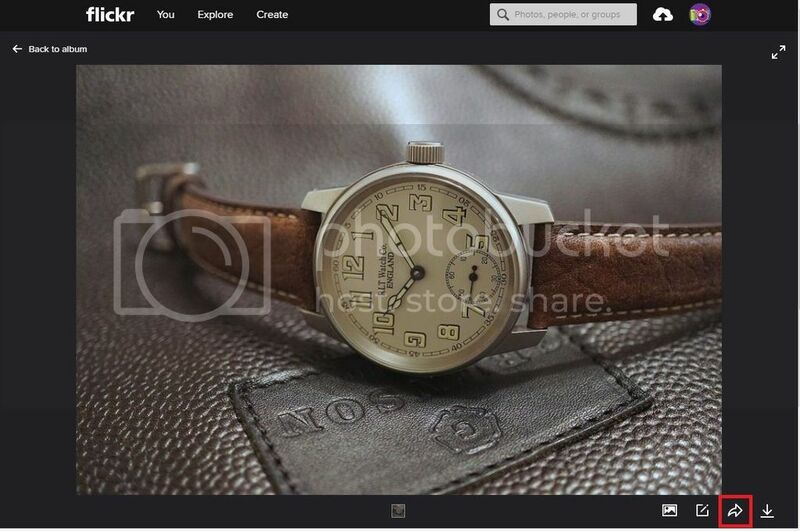 Go back to the forum and place the cursor where you want the picture to display in your new topic or reply. Paste the picture's URL into your new topic or reply by pressing the Ctrl and V buttons together on your keyboard or right clicking with your mouse and selecting paste. Please use this thread to add tips for other devices or to correct me if any of the above is wrong. Please also use it to practice posting your pictures. 4) Back to TWF right click and choose paste with left click to insert photo. Hope this may help anyone struggling. Had a tidy up (hope the posters won't mind) to just leave stuff relating to posting a picture. Feel free to keep using this thread to practice though. 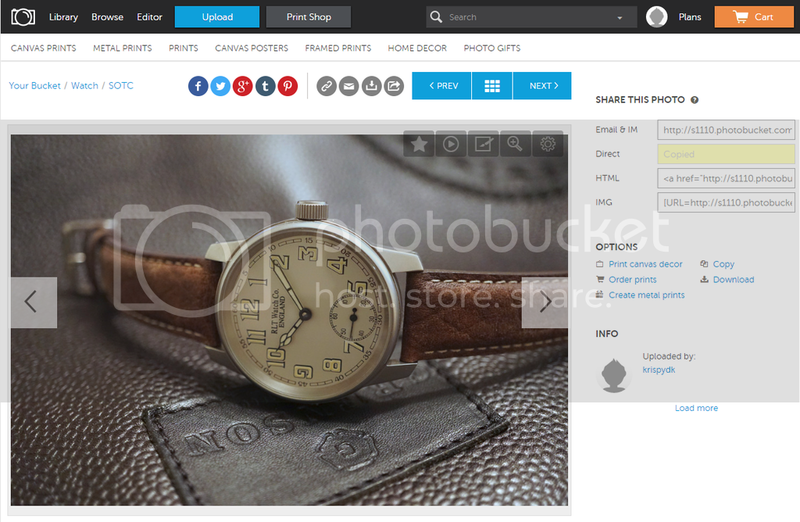 Here's how to use the Photobucket mobile website and App. 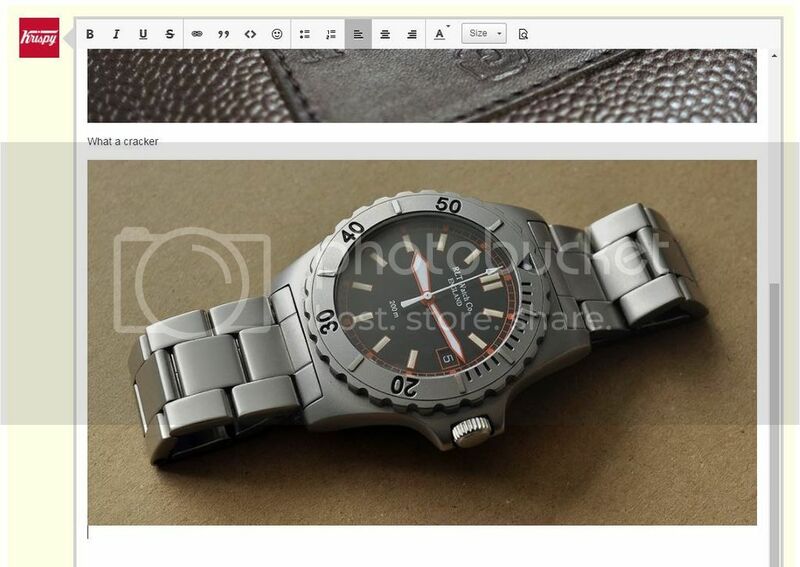 The images or images you selected will be added wherever your cursor is at the time. Choose your picture and wait for it to auto upload. 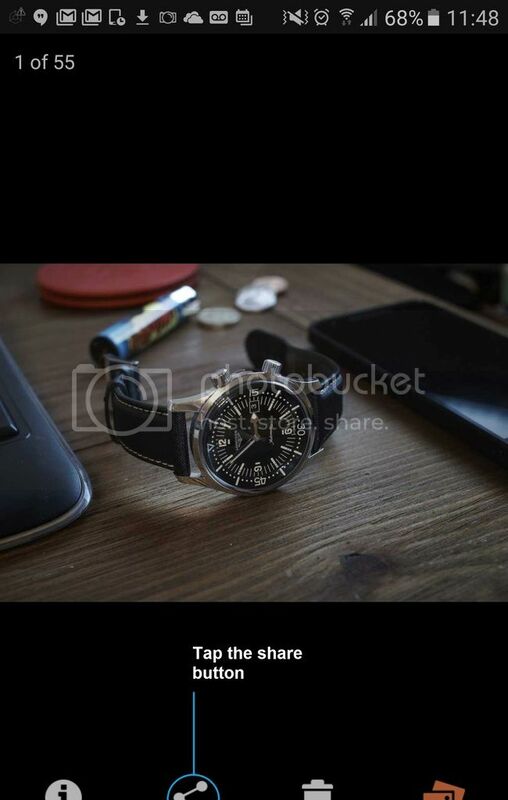 This copies the link which you can then paste into your post. This is the image sharing link for Google Photos. It will not embed the image into your post. It's a link to the shared album. That's what Google Photos offers at present. 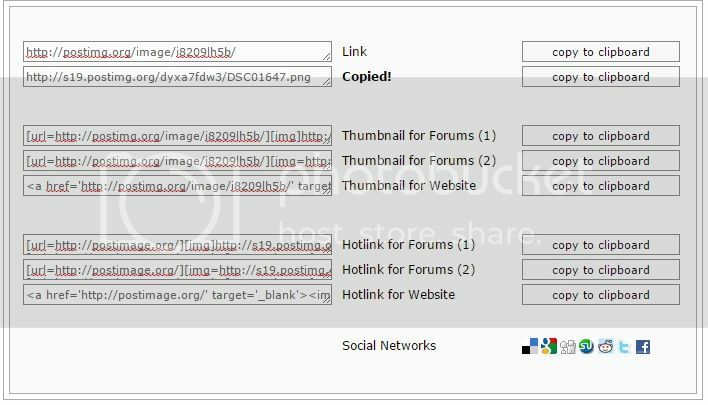 Using Copy Image Address or Copy Image Location in browsers results in a long URL that may or may not work, as the photo in Google Photos may or may not be shared publicly. 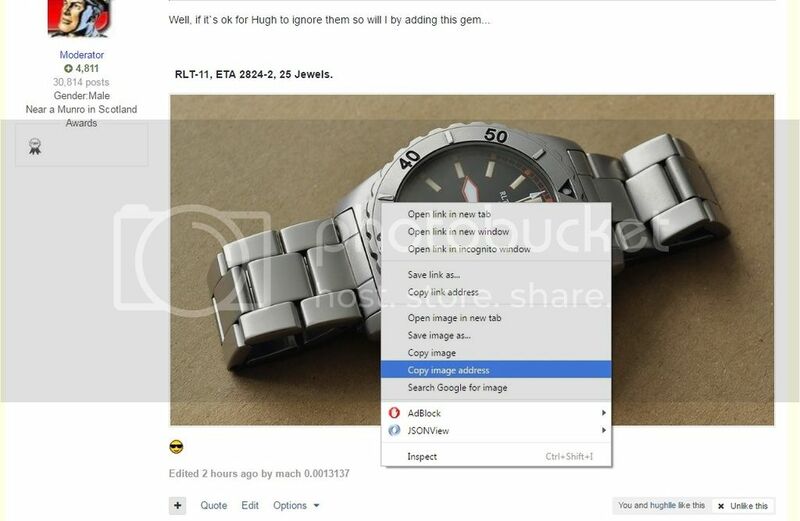 The link may break your post for other users, whilst it works for you (since you are logged into Google Photos and can access your images). If you have an Instagram account and post pictures to it, that's a super easy way to share on this forum, at least from an Android device. 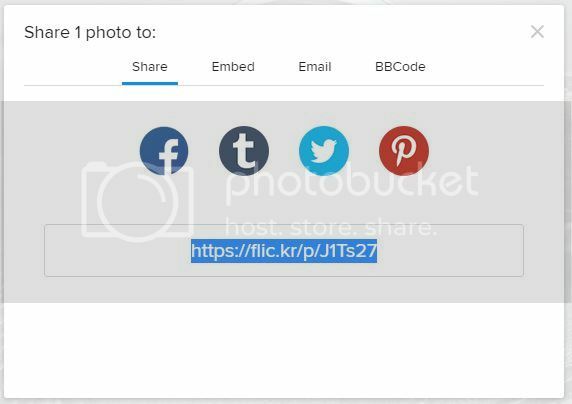 Plus it adds the potential to gain more followers and likes, because if they click the picture it links them to your photo on Instagram where they have the option to sign in and follow/like. 7. 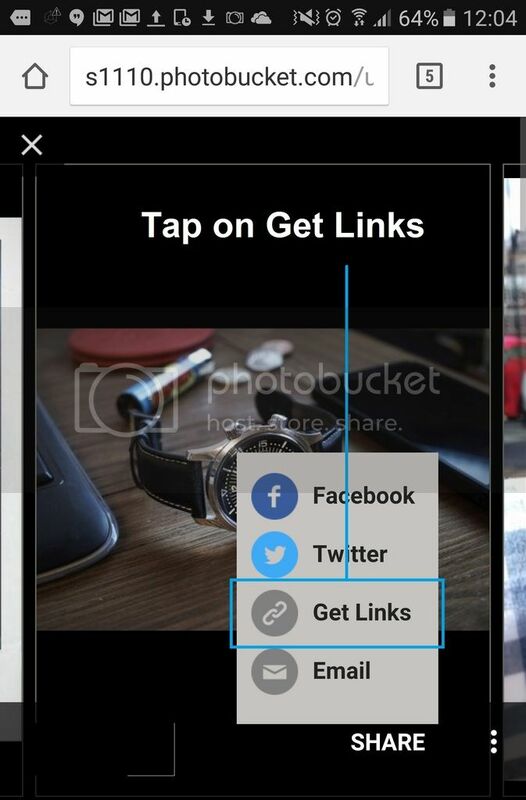 A list of sharing options which are compatible on your phone pops up. 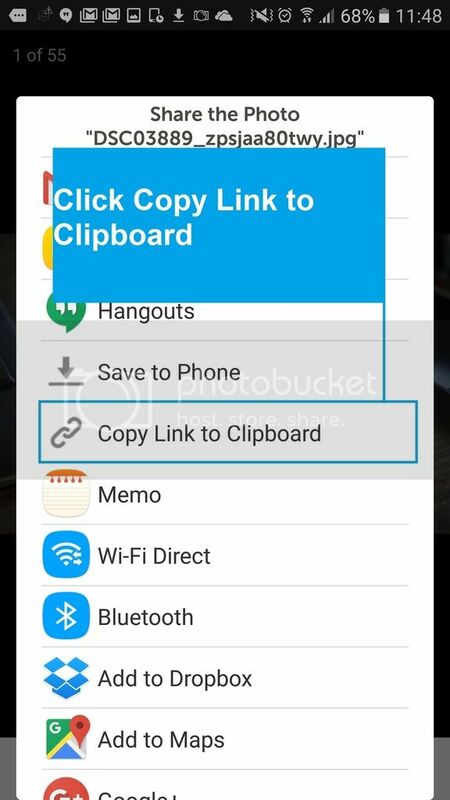 Copy to clipboard should be one. Click that, the link is then copied. 8. Then you simply come to TWF here and paste your link into whatever text you're typing.